Nov. 9 India's first unmanned space probe entered the lunar orbit yesterday and will spend the next two years mapping the moon's terrain, said the country's space agency. India became the fifth nation to send a spacecraft to the moon after the U.S., Russia, Japan and China, the Indian Space Research Organization said in an e-mailed statement yesterday. Chandrayaan I, or ``Moon Craft,'' will transmit data to the Indian Deep Space Network Campus on the outskirts of Bangalore. The moon is the focus of international exploration 39 years after American Neil Armstrong became the first man to walk on its surface. India's $78.9 million mission to map the moon's terrain is a first step toward landing an unmanned rover there by 2012. The path taken by Chandrayaan I will be reduced in the coming days to achieve a final polar orbit of about 100 kilometers (62 miles) and a probe will be released to hit the lunar surface. Close-range images will be taken during the probe's 25-minute descent, the space agency said. The spacecraft is also carrying mapping instruments for the European Space Agency, radiation-measuring equipment for the Bulgarian Academy of Sciences and two devices for the National Aeronautics and Space Administration. One of the NASA devices will look for ice deposits in the lunar poles, while the other will assess the moon's mineral composition. India launched its first rocket in 1963 and its first satellite in 1975. The country's satellite program consists of 21 orbiters, of which 11 are currently in service, making it one of the largest communication systems in the world. Russia is India's main partner in space programs and has provided manufacturing and design technology. Most of India's space programs are developed by its own scientists. 22 Oct 2008. New Delhi, Oct 22 (PTI) Parliament today congratulated Indian space scientists on the successful launch of Chandrayaan-I, the country's maiden mission to the moon. As the House met for the day, Lok Sabha Speaker Somnath Chatterjee lauded the Indian Space Research Organisation (ISRO) for achieving the landmark of launching a mission to the moon. "This historic event marks India's entry into select band of lunar explorer countries and its growing stature as an emerging space power," he said. In the Rajya Sabha, Chairman Hamid Ansari said the successful launch of Chandrayaan-I was "indeed a moment of pride" for the country. Ansari on his behalf and that of the entire House congratulated ISRO Chairman G Madhavan Nair and scientists, technicians and all the people associated with the mission. The House gave a standing ovation for the achievement. India scripted a new chapter in its space programme by launching its maiden moon mission from Satish Dhawan Space Centre at Sriharikota in Andhra Pradesh at 6:22 a.M. On board the indigenously built rocket PSLV C-11. The Lok Sabha also congratulated the Indian cricket team for its emphatic 320-run win against the visiting Australian team at Mohali, Punjab yesterday. It is India's biggest-ever Test victory by runs. spaceport in Andhra Pradesh. Atop its nosecone it will be ferrying a 575 kg spacecraft called Chandrayaan-1 which, if all goes well, will ultimately orbit the Moon for a period of about two years. During that time it will also release a smaller impact probe to slam into the lunar surface to help explore it from close range. But why on earth are we going to the Moon at all and that too at a cost of nearly Rs 400 crore? Surely there are other pressing priorities back home like poverty, literacy, medical care, infrastructure development etc that needs urgent attention and the taxpayers’ money. Besides, why are we doing this now when others have done it several decades ago? The former Soviet Union and the United States both launched successful lunar orbiting satellites way back in 1966. We’re told that, among other things, the mission will try to source non-radioactive Helium-3 which is scarce on Earth but believed to be abundant on its natural satellite and is seen as a promising fuel for advanced fusion reactors in the future. Once located, we can transport it back from the moon to run nuclear plants and generate abundant electricity. Apparently, a couple of tonnes of Helium-3 are enough to meet the energy needs of the world. So how come other advanced nations of the world haven’t thought along similar lines? They also tell us Chandrayaan will pave the way for future manned missions to the Moon. But the Americans have already been there and done that nine times with a flurry of 27 astronauts between 1968 and 1972 and haven’t gone back since. The Russians, despite their awesome expertise in space travel, haven’t done it at all. Obviously it’s either not that important or no big deal. Or are we missing something here? We are. It’s the bigger picture which ultimately involves the colonisation of Moon and Mars. Most everything else about Chandrayaan — whether it’s a show of strength to demonstrate that what China does we can too, or to develop terrestrial military missile options, or benefit from technology spin-offs and generate more jobs and get young people interested in such science — is, at best, unenduring. Even the national pride associated with becoming a full member of an elite club of super space powers, thus announcing India’s place in the world, is an ephemeral phenomenon. Earlier this year, the renowned Cambridge physicist Stephen Hawking had seen this same picture when he called for a massive investment in establishing colonies on the Moon and Mars. “If the human race is to continue for another million years”, he said, “we will have to boldly go where no one has gone before.” Of course, he also saw it as an insurance policy against the possibility of human beings being wiped out by catastrophes like nuclear war and climate change. Ever since humans came out of Africa, exploration has always been in their blood. Yesterday it was the New World, today it’s Antarctica, tomorrow the solar system. This is the real reason why, after the famously fought face-saving “me first” duel to go to the Moon in the 1960s, the two original space-faring countries ducked the effort completely. Instead, what the Russians — and later the Americans — concentrated on quietly for long decades was in putting its astronauts for longer and longer periods on the orbiting Mir space station and the International Space Station (ISS). They wanted to study the effects of weightlessness on the human body. The information is vital for making long duration journeys to, say, Mars which can last anything from six to nine months one way. In fact, besides serving as a research facility, the whole idea of building space stations is also for furthering lunar and other interplanetary voyage options. According to NASA the ISS has a key role to play as it moves forward with a new focus for its manned space programme, which is to go out beyond the Earth orbit. The ISS is now a stepping stone. The crews will not only continue to learn how to live and work in space but also how to build hardware that can survive and function for the years required to make the round-trip voyage from Earth to Mars. Is it any surprise then that China too plans on building one in the future? Or that after Chandrayaan-2, which is scheduled for some time between 2010 and 2012, and a manned mission to the Moon, ISRO has Mars in its sights? Last year, the principal scientific investigator to the Chandrayaan mission, J N Goswami, said that scientists had indeed begun studies about a mission to Mars. And K Kasturirangan, former ISRO chief, has stated that a mission to Mars by India is a logical extension to the moon flight. That’s why Chandrayaan-1 should be heading for the Moon today — because it’s only a matter of time before humanity starts moving out from Earth. Therefore, it’s good the country is considering at least some of its priorities to be in outer space too. It shows that, in the future, India can also be an enduring part of that outward movement. 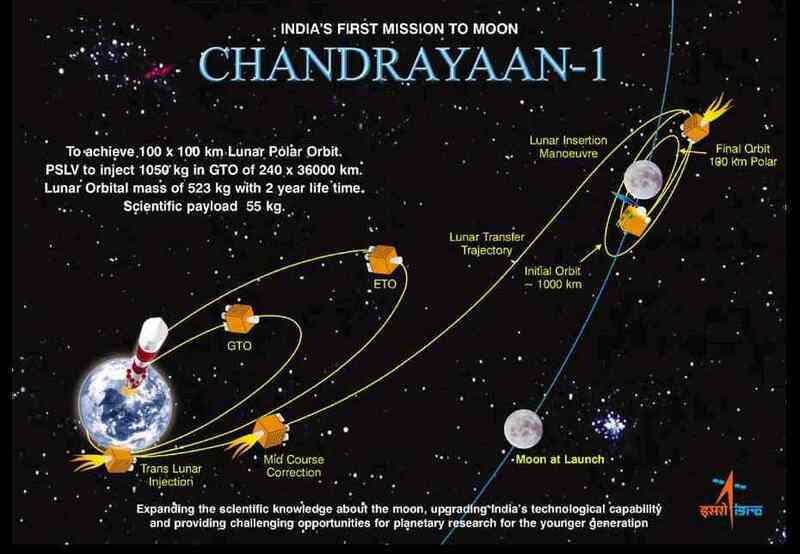 lanning to send its second lunar odyssey, Chandrayaan-2, an Indo-Russian joint venture, likely by the end of next year or early 2010. The work on this project would be taken up after Chandrayaan-1 starts its task of researching the moon, ISRO Chairman G Madhavan Nair told reporters here after the PSLV-C11 launched the spacecraft. "One of the two GSLV missions next year could carry Chandrayaan-2," he said. 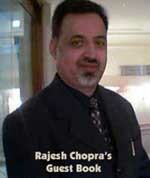 The team behind the success of the first mission would work on Chandrayaan-2 also, he added. However, the composition of the instruments for Chandrayaan-2 would be decided after studying the data received from the first mission, he said. The second mission, for which the ISRO and Russian federal space agency have already signed a pact, would feature a lander and a rover for a soft land on moon. "However, there would be a provision for accommodating payloads from other space agencies as is the case of Chandrayaan 1," Nair said. In addition to India's five payloads, Chandrayaan-1 is carrying scientific instruments of the European Space Agency, Bulgaria and the USA.